There is a misconception that certain types of alcohol (like red wine), if consumed in low levels do not cause any harm to human health. Alcohol itself, no matter if it is red wine, beer or any other form, somehow puts your health at stake. Regular drinking or too much drinking both can increase the risk of getting serious health problems. Definitely, everyone who drinks alcohol does not necessarily get the serious health damaging effects but according to the new researches and statistics, the health damaging effects mentioned below are more common among drinkers than the non drinkers. Alcohol is basically an addictive drug. It is a Central Nervous System Depressant (means it slows down the brain activity) that can cause a wide range of side effects. The effects of alcohol on human body take on many forms, depending upon a number of multiple factors like the amount of drinking, the frequency of drinking, the age at which a person starts drinking and the duration of consumption of drinking, the state of health of drinker and the circumstances of consumption like after a meal etc. Grossly the effects of alcohol on human body can be divided into short term effects and long term effects. Slurred speech: It means difficulty with speech and is one of the most common signs that you observe in a person right after drinking. A loss of co-ordination: Ataxia is the medical term used for this condition. In this condition the person after consumption of alcohol becomes unable to coordinate different movements of his body. Unsteadiness when standing or walking: It is also included in ataxia. Due to the lack of control on his body muscles, the person after drinking alcohol becomes unable to walk or stand normally. Impaired attention and judgement (affects memory, divided attention and planning etc. ): As alcohol slows down brain activity, it causes impaired attention and judgement as a result of which the cognitive functions (means the skills and abilities that a person has) of the drinker are affected severely. Loss of inhibition (behavioral effects of alcohol): It is one of the most visible ways in which alcohol can affect a drinker shortly during and after drinking. Loss of inhibitionmeans lacking control. The person on consuming alcohol appears to lose all inhibitions and becomes more outrageous, reckless, outgoing or shows any other extreme behavior. Sleep: Initially after having a small drink of alcohol, it might help you nod off, but even just a little amount of alcohol before sleep can seriously affect the quality of your sleep. If you are a heavy drinker or a regular drinker then obviously even without having a drink before sleep time you will be having a disturbed sleeping process (as a result of long term effect of alcohol consumption). Alcohol interrupts the normal sleep process of human body. It interrupts the sleep by increasing the frequency of urination during sleep. It also causes the relaxation of body muscles which results into snoring while sleeping thus interrupting with normal breathing process and causing disturbed sleep. It also reduces the REM period of sleep (which is the first phase of sleep and alternates with Deep sleep phase during the sleep cycle) thus all of these factors results into impaired quality of sleep and you might wake up in the morning feeling exhausted instead of being refreshed after sleep. Alcohol poisoning: Drinking too much alcohol or too quickly in a short period of time causes immediate massive increase in the blood levels of alcohol which cannot be cleaned by your liver immediately. This results into alcohol poisoning which is serious and often deadly condition. It stops the body from working properly and interferes with the breathing, heart rate, body temperature and finally leads to coma (loss of consciousness) and death. The signs and symptoms of alcohol intoxication are low body temperature, irregular or slow breathing, pale or blue tinged skin, person might be conscious but unresponsive, seizures and unconsciousness etc. It is an immediate medical emergency. If you notice these signs and symptoms in any person during or after taking alcohol then immediately call for emergency medical help immediately. Unfortunately, alcohol consumption can result into much more worse and permanent ill health effects than just an annoying hangover, vague memory or inappropriate behavior immediately after drinking. These side effects, which develop with the passage of time in alcohol consumers, are called long term effects of alcohol and are much more serious and once develop might be permanent for life time. Cancer: Alcohol is converted into acetaldehyde inside the body, which the metabolic product of alcohol. Acetaldehyde is a potent carcinogenic agent (cancer causing) that increases the risk of following types of cancer in the alcohol consumers: Liver cancer, bladder cancer, mouth cancer, esophageal cancer (food pipe’s cancer), bowl cancer, breast cancer, laryngeal cancer (voice box’s cancer) and pharyngeal cancer (upper throat’s cancer). The risk of cancer is even much higher in those people who are heavy drinkers and are also tobacco consumers (smokers). Diabetes: It is a common health problem which is produced when your body cannot utilize the glucose (sugar) in blood as a source of energy. As a result of this, the level of glucose rises in blood and it starts producing ill health effects on body which chronically (on long term) produces serious health effects. Although there are multiple causes of diabetes (genetic factors being the most important ones), among them, heavy alcohol consumption is one of the major causes of diabetes. Alcohol by one or more of the following mechanisms causes diabetes in drinkers (specially the heavy drinkers): Heavy amount of alcohol causes chronic inflammation and destruction of pancreas resulting in diabetes. Heavy amount of alcohol also causes insulin resistance in body and increased caloric intake (alcohol contains good sum of calories) thus increasing weight and increasing chances of developing diabetes. Anxiety: More often you reach for a drink just because you want to change the way you feel or you want to forget the bitter memories of past or something. Alcohol can have a temporary positive effect on your mood and can elevate your mood for some time but in the longer run, it causes serious mental health problems among which anxiety appears first. It causes changes in brain, heart rate, nervous system, decrease in neurotransmitter in brain which are needed for good mental health and drop in blood sugar, all of which results into increased agitation and anxiety in the drinkers. Aggression: Loss of inhibition has already been mentioned in the short term effects of alcohol. Normally these inhibitions are the reason that keep your behavior towards others civilized and mannerful but after drinking alcohol for long time you may become more irritable; your ability to see things and consequences also narrows down and these inhibitions are lost permanently causing aggressive behavior of the drinker that results in domestic violence, broken relationships and even extreme behavior of some specific type like a person who is drunk might kill someone. Depression: Depression is defined as a mental state in which a person feels sadness, despair and hopelessness for a long period of time and it effects a person in such a way that it interrupts the normal functioning of daily life. If you are a heavy and regular drinker or if you use alcohol as a self medication, for example for lifting your mood up because of some reason etc. soon you are most probably going to develop some signs and symptoms of depression. Alcohol interferes with normal production of serotonin (a neurotransmitter in brain that is used to regulate mood), normal relationships of a drinker and it also causes increased anxiety by its long term use. All of these factors start a vicious cycle that eventually results into severe depression of the drinker and that along with impulsive behavior, compromised judgement and absence of self control leads to suicidal thoughts and psychosis (a mental illness that causes loss of sense of reality) and even suicide. Dependence: Feeling happy, celebrating some occasion with your friends with alcohol, taking wine with meal, feeling low and trying to elevate your mood up with alcohol. It has become so much common in our daily life that you might be consuming it without any check and balance and you might forget the fact that it is also an addictive drug like many other drugs. Physical alcohol dependence (means if you do not drink alcohol then your body starts showing physical ill health effects like headache, fatigue etc because of the physical dependence on alcohol) is also called as alcoholism. It develops when you drink alcohol for so long that you become dependent or addicted to it. When alcoholism develops, the use of alcohol becomes the most important thing in your life and you continue to drink even when knowing that it is causing harm to you and your loved ones, just because you have reached a point where you can’t help it. Dementia: Alcohol abuse can completely ruin your life. Its long time consumption not only leads to ill health effects but it also causes severe thiamine deficiency, mental function disturbance and damage to brain that leads to alcoholic dementia (problems with memory, learning and other everyday skills).Following are the signs and symptoms that can be noticed in a person who develops alcoholic dementia: Mental confusion, agitation, lack of body movements coordination, eye problems (including unequal pupils, abnormal eyeball movements etc),loss of memories, communication problems, disorientation, new and unfamiliar behavior (like self negligence) and personality changes (like frustration, anger, flat emotions etc). Unfortunately, alcoholic dementia, once developed, cannot be reversed back. Once detected, it can be stopped from progression by fixing the thiamine deficiency and treating alcohol dependence. Stress: Have a stressful and long work day, by the end of the day you might immediately turn towards alcohol to help you relief the stress but hold on a second and give it some thought, this drink could be doing you far more damage than good. Yes, alcohol can relief stress when consumed in small amounts and in some people but in the long run, it causes severe mental and physical disturbances in your body that eventually leads to increased stress level both psychologically and physically. High blood pressure: Heavy drinking can raise blood pressure to unhealthy levels causing hypertension (increased blood pressure and its effects on body). If you have more than three drinks in one sitting, then you might have temporarily increased blood pressure. But if you continue to consume heavy amount of alcohol then in the long run your blood pressure will become permanently elevated causing hypertension and its ill health effects (major effects are stroke and heart attack). Stroke: As mentioned above, long term heavy drinking cause hypertension and one of the deadly consequences of hypertension is the stroke (rupture or obstruction of blood vessel of brain causing serious health effects). Uncontrolled hypertension puts a strain to all the blood vessels in the body especially to the vital blood vessels of brain, kidney etc. This sustained pressure can cause weakness of blood vessels or clogged up blood vessels which causes bleeding inside the brain or clogged up blood vessel causing ischemia (oxygen is not being delivered). It is a medical emergency and should be treated promptly. Consumption of alcohol by a pregnant woman affects the way the baby develops inside the mother’s body. The ill effects of alcohol on baby depends upon a number of factors like, when alcohol was consumed, how much was consumed and how often it was consumed, what are the genetics of mother and baby (to find out their tolerance level to alcohol) etc. All in all, the affects of alcohol on developing babies are termed as Fetal Alcohol Spectrum Disorders (FASD). It is the most common and preventable cause of brain damage and birth defects in unborn babies. FASD consists of a range of different problems from mild, moderate to severe. Majority of these problems might not be noticed at birth, they manifest themselves later on. So most babies with FASD, at birth will look quite normal. On the other hand, babies born with FASD might show a number of abnormalities at birth like changes to their head and face etc. Brain damage, low IQ, arrested growth, birth defects and behavioral problems etc. Unfortunately, there is no cure for this and the only way out is complete avoidance of alcohol by a pregnant mother or a woman who is seeking pregnancy. 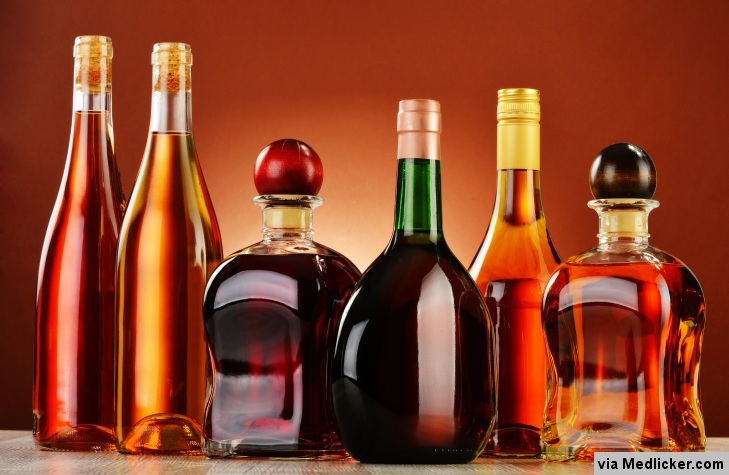 The use of alcohols by kids and especially in teenagers is becoming very common. As a child becomes an adult, he encounters vast emotional, physical and lifestyle changes. These developmental transitions especially independence and puberty are most commonly associated risk factors of early age alcohol abuse, which is called as underage drinking. Almost 5000 adults under the age of 21 years die due to underage drinking, each year. The brain of a teenager who is exposed to alcohol is at risk of being under developed in certain regions and thus causing mental disabilities. Teenagers tend to abuse alcohol with other potentially addictive and lethal drugs like marijuana, tobacco etc and these causes even much more serious health problems. Due to the lack of appropriate knowledge and immature teenager behavior, they are usually abusive drinkers and might develop the deadly health effects soon after their consumption of alcohol. Obviously they also experience all the ill health effects that are mentioned before. Childhood and teenage is a time of learning and discovery, so it is important for you being parents, to load them with all the pros and cons of drinking alcohol and open communication with your kids from time to time makes them visualize the bigger picture of the reality and they understand that you are right and most probably try to follow your advice. When it comes to alcohol drinking, women are much more adversely affected by alcohol abuse as compared to men. When a woman consumes similar amount of alcohol as does a man, she tends to feel the effects far more as compared to man (even if he is of same weight and height as she does). The body of an average man contains more quantity of water as compared to a woman of similar height and weight. Due to this reason, the alcohol’s concentration in blood of females is build up much more rapidly to higher levels and produces acute serious health effects as compared to the males. Females are slower to metabolize alcohol as compared to males, which is also a contributing factor. Due to monthly hormonal variations in women of reproductive age, the processing of alcohol inside their body varies accordingly making them much more prone to toxic effects of alcohol. The women tend to have much more body fat as compared to the males which does not absorb alcohol and helps in building up of higher concentrations of alcohol in blood. A woman of active reproductive age because of alcohol usage might cause damage to her unborn baby, because the alcohol causes damage to her baby even before she finds out that she is pregnant. So, all these factors make women much more vulnerable to adverse effects of alcohol use. It is essential for women to understand this inequality and act accordingly in order to save their health. Why does alcohol makes you pee more? Ever wonder, why alcohol consumption makes you pee more than normal? Alcohol is a very powerful diuretic agent. A diuretic agent causes increased urine production and lowers the fluid levels of body. So alcohol causes changes in body like stimulating bladder, causing kidney to withdraw more fluid from blood and suppression of ADH hormone responsible for inhibiting diuretic effect etc. causing powerful diuretic effect. The common effect of alcohol is an urge to pee just a few minutes after your previous visit to toilet. As alcohol causes more than normal peeing, it easily causes dehydration, which in turn causes the nausea and headaches associated with hangovers after alcohol use. That is the reason why your mouth feels so dry the next day after drinking alcohol. The dehydration caused by alcohol if persists or becomes severe can be fatal to life of a drinker. The only way to stop this is to stop drinking alcohol or at least cut down the quantity consumed. 1. How often do you consume a drink having alcohol in it? 2. 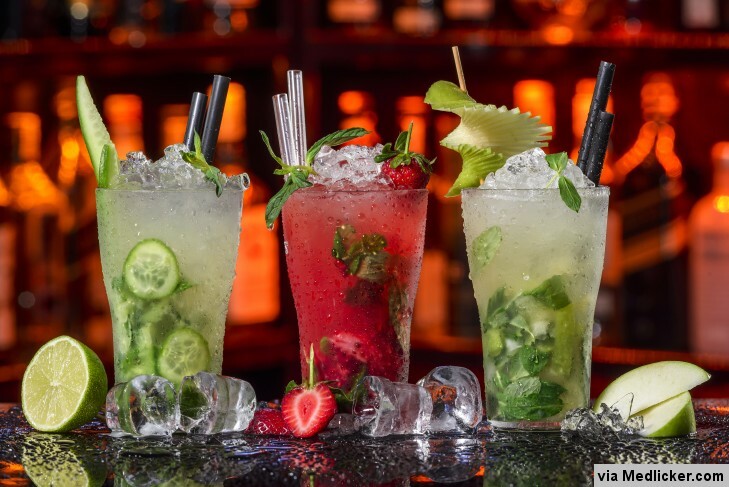 On a typical day, while drinking, how many drinks (containing alcohol) do you have? 3. On an occasion, once you have started drinking, how often do you have 6 or more drinks? 4. During the last year, how often have you found that you were not able to stop drinking once you have started? 5. During the last year, how often have you failed to do what was normally expected from you because of drinking? 6. During the last year, how often have you needed a first drink in the morning to get yourself going after a heavy drinking session? 7. During the last year, how often you had a feeling of guilt after drinking? 8. During the last year, how often have you been unable to remember what happened the night before because you had been drinking? 9. As a result of your drinking, have you or someone else near you been injured? 10. Has a doctor, relative, friend or a health worker been concerned about your drinking or suggested you cut down? Now sum up all the scores of 10 questions, how much have you scored? If your score is 8 or more, it is an indicator of harmful alcohol use and it may be worth consulting your doctor or an alcohol advice and information service to talk about your drinking. Alcoholics Anonymous - Self help group in UK helping people who misuse alcohol or are addicted to it.